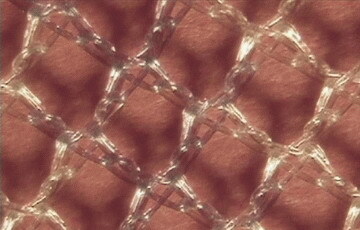 Sterile surgical undyed meshes from polypropylene. 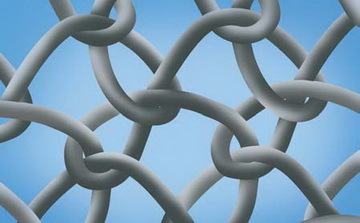 Chiralen meshes are available in different sizes. They show high strength and a high flexibility. Chiralen meshes are available in a weight of app. 125 g/m2 or in the version with a weight of app. 55 g/m2. Indication: Chiralen meshes are indicated in the operative treatment of fascial defects, in particular hernias that require long-term bridging of damaged structures. The sterile partially absorbable composite mesh is made from two components: an absorbable and non-absorbable. Capromesh composed of an absorbable segmented copolymer of glycolide and ε-caprolactone and non-absorbable polypropylene monofilament fiber. After absorption of the absorbable part, only the polypropylene mesh remains in the body. The structure and the size of this remaining mesh are optimally designed for the physiological stress, which the abdominal wall is subject to. Indication: Capromesh is indicated in the operative treatment of fascial defects, in particular hernias, weakened abdominal wall, healing of which required long-term bridging or strengthening the damaged structures.